Elaborate die cut creations made in minutes! 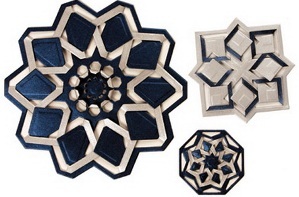 Spellbinders Shapeabilities® Cut  Fold  Tuck die templates create intricate geometric designs in a single pass. Simply fold the cut outs and then tuck the folded pieces as you work your way around the die cut. Instantly create dimensional designs! Layer the individual pieces for dramatic effects! 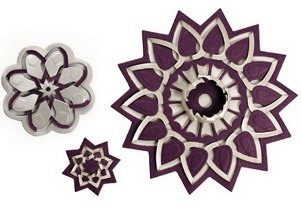 Floral Burst was inspired by flowers, the petal shaped cuts create dynamic blooms. Cuts lines at the center create petals to fold up for dramatic dimension.